Well, seams like Z and FRR is in a hurry. And why the sudden stop? Okey, so I have some bad news for everyone. Currently Mirjam needs a bit of a break from Krig RAWR. This is not a permanent thing. But she got so much stuff going on right now. So she needs time to work on those things instead. This means that the current chapter will continue in four weeks. It’s sometimes important to prioritize not imploding from stress. Something we all need to do from time to time while juggling a lot of different projects at the same time. We need your guest art! But don’t worry! We will hopefully have some fan content for you all. During the weeks while waiting for the chapter to continue. This is where you can help! 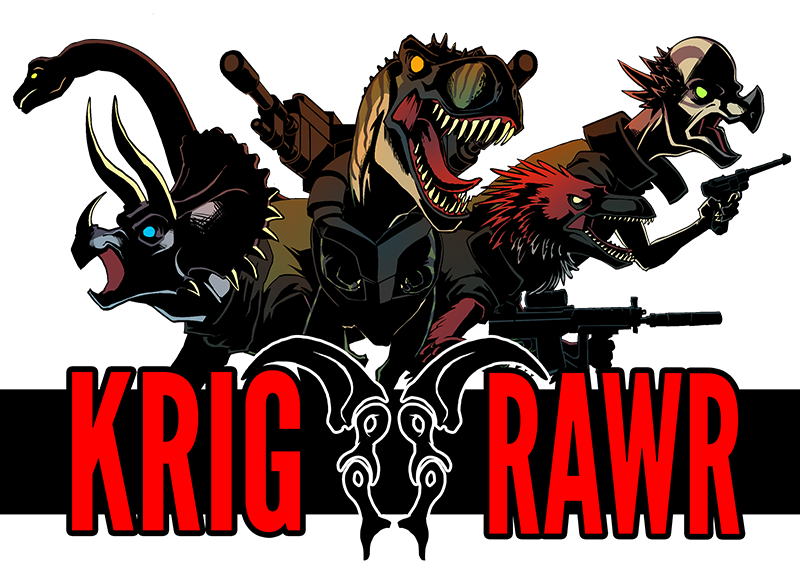 Maybe you would like to send us some Krig RAWR guest art? We got some amazing art from Anna Landin and Jonas Anderson during the chapter 2 break. We would love to get some more! And thanks in advance! Hope to see some amazing fan art. p.s. do you live in Stockholm? It’s the 24-hour comic book day soon. You should come and join our event at Kulturhuset! Read more about it here.